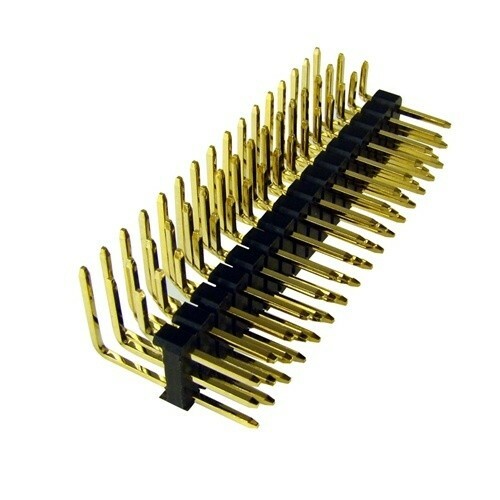 The 3x16 right angle pin headers are used with the ArduPilot Mega board and is very useful 90 degree angle pin header for low profile applications. Used on ArduPilot Mega to connect the servo wires to and from the RX and the servos, if you have bought the ArduPilot Mega from us you will not need to buy this, as it is included in the kit. If the 3x16 is out of stock, you can use 2 of these 3x8 right angle pin headers. Bought these to fit to new 2.5 mega board,no problems,look to be decent quality. The postal service was very good,was sent e-mail when goods dispatched.Will be using BYOD again as myt project advances. Perfect for the job.Express delivery.